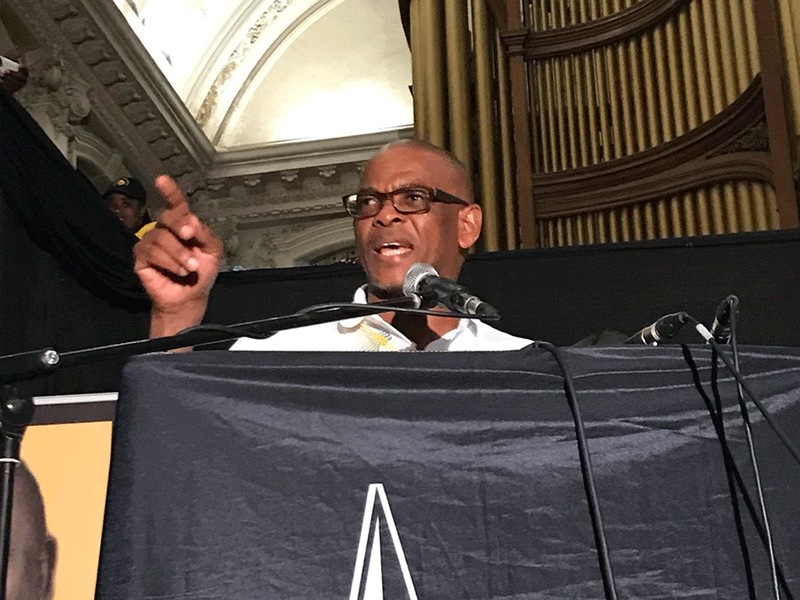 Veterans and stalwarts of the African National Congress (ANC) have condemned the comments made by the Secretary-General Ace Magashule during his campaign trail in the Western Cape. Magashule told a crowd in Phillipi on Saturday that supporters should not to vote for white people. ANC stalwart Murphy Morobe says the statement by the party's SG is disgraceful and unacceptable. "When the statement was made by the Secretary-General at a campaign rally in Phillipi on Saturday it really took us aback to hear him utter the words that basically extort people to take a racial attitude towards casting their vote. Which is completely unacceptable as far as I am concerned because he must argue that it was a slip of the tongue but in the context of being an SG, ever word matters," says Morobe. Morobe explains that the stalwarts are calling on ANC President Cyril Ramaphosa and the ANC Integrity Commission to urgently act against Magashule and prevent an incident like this from happening again. "I have sent my own communication directly to the Deputy Secretary General, Jessie Durate, and the chairperson Mr (Gwede) Mantashe to express the same sentiments that are contained in the statement. "To that extent, we generally would want to communicate as broadly as possible, but we are always available to talk to Luthuli House on this matter as we have done before."